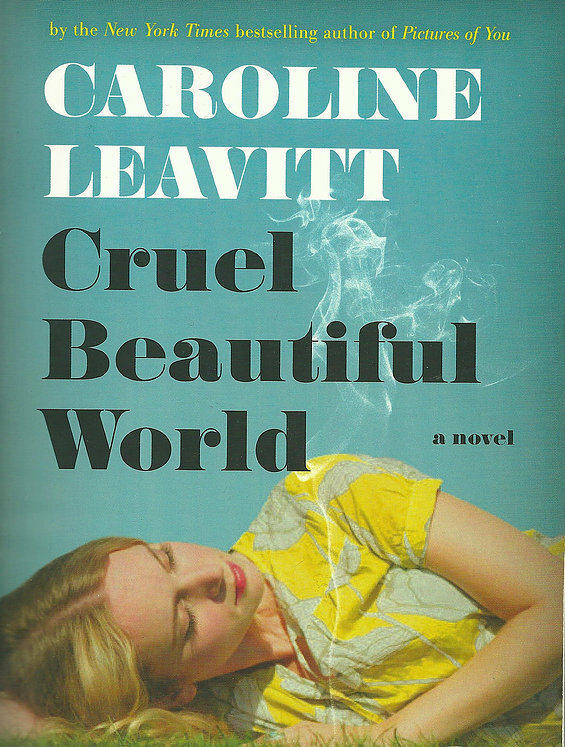 MY BOOK, THE MOVIE: Caroline Leavitt's "Cruel Beautiful World"
Caroline Leavitt's "Cruel Beautiful World"
Caroline Leavitt is the New York Times and USA Today bestselling author of Is This Tomorrow, Pictures of You, Girls In Trouble, and other books. When I start to write a novel, I always tape up photos of people I think would be the characters. Mostly I use ordinary photos, from Humans of New York, usually. While I was writing Cruel Beautiful World, set in the 60s and the 70s, I thought of one actress for Lucy, the wild young 17-year-old who runs off with her older English teacher to a supposed back-to-the-land paradise which turns into a nightmare, I put up a shot of actress Julie Garner (Julie, I hope you are listening!) because she has the exact right vulnerability and impulsiveness. And she looks like a child of the sixties! For Iris, who thinks her life is over when she turns 80, and instead, she finds something extraordinary, I want Ellen Burstyn because how could I possibly not want her? And for Charlotte, who is forever trying to fix things and messing up, Emmy Rossum, who has that frenetic kind of determination and also looks like she could easily be 1960’d up! 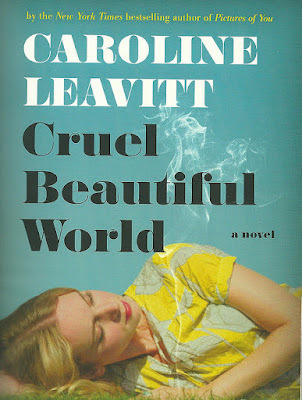 Learn more about the book and author at Caroline Leavitt's website and blog. The Page 69 Test: Pictures of You. My Book, the Movie: Pictures of You. The Page 69 Test: Is This Tomorrow. My Book, The Movie: Is This Tomorrow. David O. Stewart's "The Babe Ruth Deception"
Kenneth D. Ackerman's "Trotsky in New York, 1917"
John Keyse-Walker's "Sun, Sand, Murder"
Rachel Hauck's "The Wedding Shop"
Mel C. Miskimen's "Sit Stay Heal"
Bruce DeSilva's "The Dread Line"
Anastasia Aukeman's "Welcome to Painterland"